During the second half of 2016, Amadeus Acoustic Solutions experienced an unprecedented surge in demand for bespoke garden music studios, with back-to-back surveys and builds that kept us busy for many months. Clients included music producers, composers and instrumentalists, all of whom were looking for their own music haven within which to practice, play, produce and record without the worry of disturbing neighbours or being disturbed by the outside world. 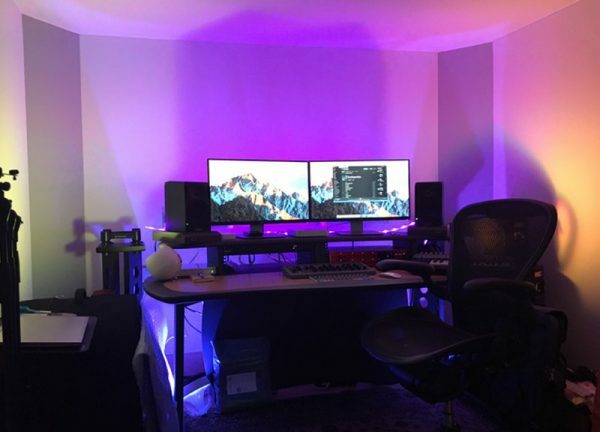 Working closely with the clients, we designed their studios from the acoustics outwards, ensuring that the room would deliver the performance required and desired, and completed the build with high quality, aesthetic finishes. All of our clients have been delighted with their new garden studios and, following the builds, we have received wonderfully enthusiastic and positive feedback, including two written testimonials. 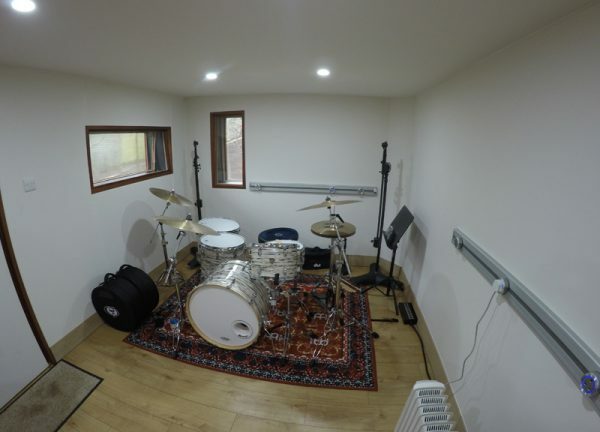 The following endorsement is from musician, Paul Austin, who approached Amadeus to design and build a garden studio that he could use for both drum practise and for recording and music production. Thanks Paul, you rock! We wish you much success and happiness in your new music room! “In the world of garden rooms and studios, I would describe Amadeus as artisans. They brought their wealth of acoustic know-how to bear, producing a bespoke design that not only offered the high degree of sound-proofing necessary for drums but also incorporated all the internal sound treatment required for accurate audio production. The finished studio manages to combine both form and function. 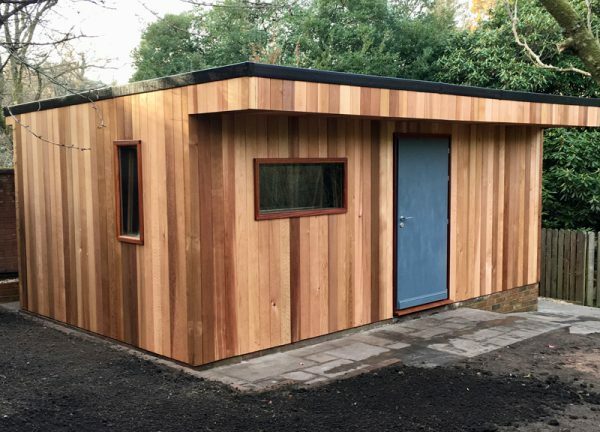 The cedar clad exterior finish looks stunning in its garden setting and the studio interior fit and finish makes for a wonderful environment to work in. The performance of the room in terms of noise reduction is nothing short of amazing and the internal acoustic treatment makes it a joy to record and mix in. It honestly surpassed all my expectations. I must say, I found the entire experience to be very enjoyable. Everyone at Amadeus was extremely friendly and approachable – happy to answer questions, make suggestions and discuss technical details with the sole aim of ensuring they delivered the best solution possible. And I can only describe the two-man construction team as craftsmen. They were an absolute pleasure to have on site every single day and worked tirelessly until the studio was finally complete, ensuring that no detail was missed. If you are thinking of getting a garden music studio of your own give the team a call on 01424 775867.